Lieutenant General Cherish Mathson took over the command of Sapta Shakti Command of the Indian Army at a solemn military ceremony held at Jaipur. He paid tributes to the martyrs at the Prerna Sthal and later reviewed a Guard of Honour presented to him. Mathson took over as the army commander after Lt General Abhay Krishna relinquished the command and moved to take over the reins of the Eastern Command. Lieutenant General Cherish Mathson, is an alumnus of Sainik School, Trivandrum (Kerala). He was commissioned into THE GARHWAL RIFLES in June 1980. He is a graduate from the Defence Services Staff College, Wellington and has attended various important career courses, which include Senior Command Course at Army War College, Mhow and Long Defence Management Course at Secunderabad. He has also attended prestigious National Defence College Course at New Delhi and in the Republic of South Africa. 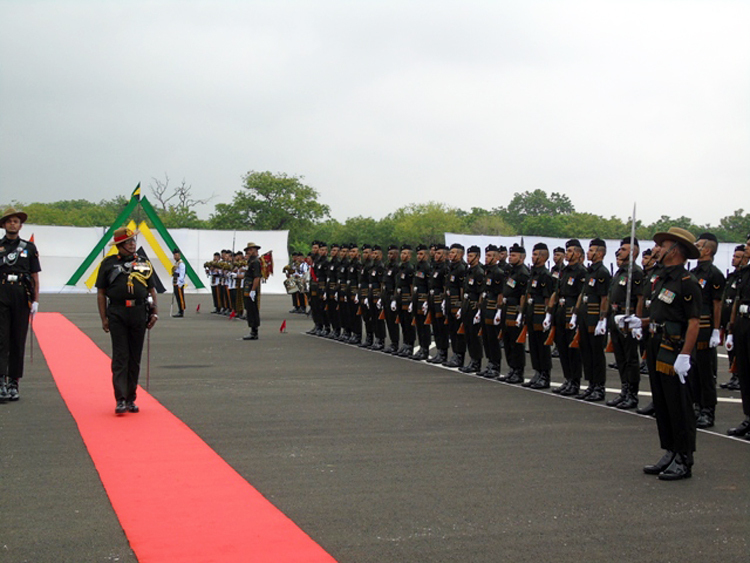 The General Officer has considerable experience in varied operational assignments across India. He has operated in rural and urban insurgency / terrorism situations in Mizoram against Mizo National Front (MNF) and in Operation Bluestar. He has commanded his Battalion on the Line of Control in Jammu and Kashmir, during Operation Parakram. He has served two tenures in Siachen Glacier, the World’s Highest Battlefield. He has commanded the Trivandrum Brigade in Amphibious Role. Later he commanded an Infantry Division in Southern Theatre. Later he went on to command the Strike Corps as part of the Southern Command. The General Officer has staff experience at all levels including National Security Council Secretariat and in the Defence Acquisition Wing of the Ministry of Defence. On assuming Command, the Army Commander extended his greetings to all ranks of the Sapta Shakti Command, Veer Naris and Veterans and their family members.